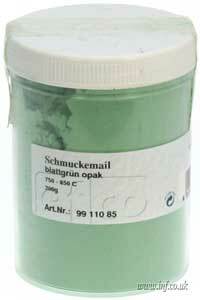 200g pot of opaque enamelling powder. This is part of our basic range. These powders are harder to work with than our main range and tend to burn back faster and lose their color if over heated. We get particular problems with the reds.